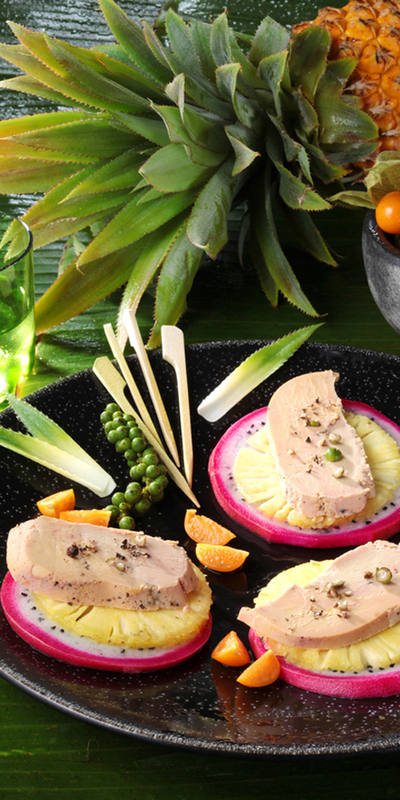 The production of Foie Gras is an age-old tradition whose origins can be traced back over 4,500 years. A fresco painting discovered in an ancient Egyptian tomb showing a slave feeding figs to a goose is proof of these distant roots (Saqqara necropolis). The banks of the Nile are a crossing point for migrating geese and ducks, giving the Egyptians ample opportunity to observe the ease with which the birds built up fatty reserves to sustain them on the journey home. They found a way of reproducing this natural tendency of web-footed birds using phase feeding (represented on several Egyptian tombs). This tradition was spread and perpetuated by, amongst others, the Jewish people who , during their exodus , fattened geese to produce fat as a replacement for lard (considered unfit for human consumption). The fattened liver became known as "Jecur Ficatum" in Latin (liver caused by figs). 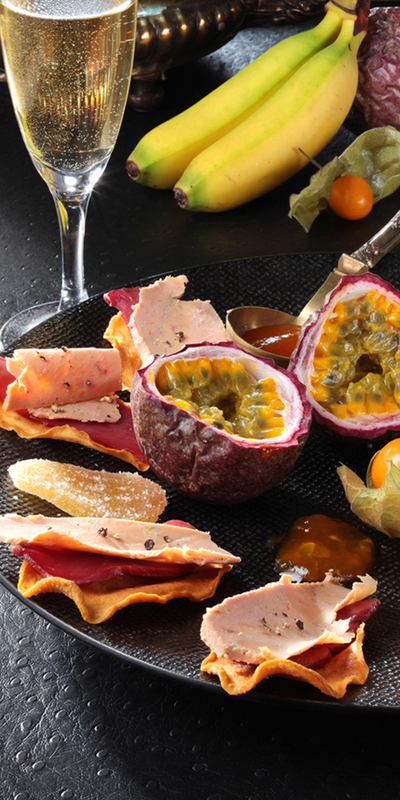 Foie Gras was first served at a Roman meal in the 1st century B.C. , during a sumptuous banquet chronicled by Horace. The fondness of Romans for liver fattened with figs reached such heights that as early as the 4th century, "ficatum" ("with figs") became the term used to describe the liver of all fattened animals. It would give rise to the French anatomical term of "Foie" (liver) several centuries later. It was during the Roman era that Foie Gras was first consumed in "Provincia" before spreading to other parts of Roman Gaul , including southwest France. Many different peoples within the Roman Empire, including the Gallo-Romans became expert in preparing Foie Gras . Subsequently , fattened animals and their livers were enjoyed in different preparations throughout the Middle Ages. Numerous regional languages used terms synonymous with force-feeding at this time . In the 15th century, corn, which is particularly suited to feeding geese and ducks, was brought back from the New World by Christopher Columbus and was soon being cultivated throughout the region. In the 17th and 18th centuries, fattened palmipeds were part of the staple peasant diet. Cooking and preserving livers and meat in fat meant reserves could be established, a major benefit given that the modern day freezer was still some way off! Paradoxically, Foie Gras was also served to kings and nobles in pre-revolutionary France. 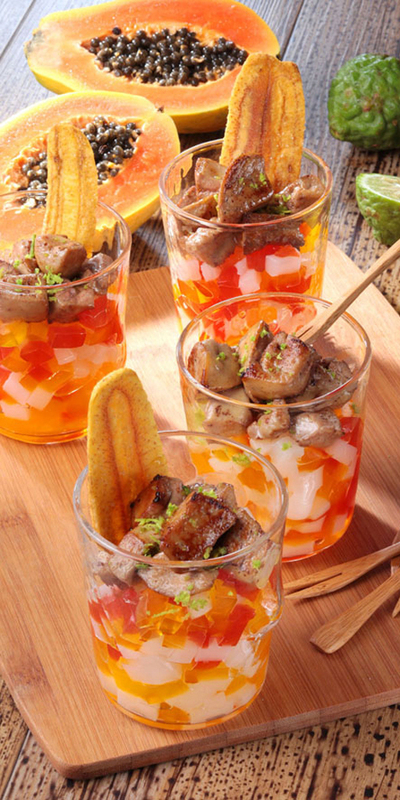 In the 19th century, the development of canning processes led to the growth of cannery operators who began exporting Foie Gras around the world where it would soon be flying the flag for French gastronomy. 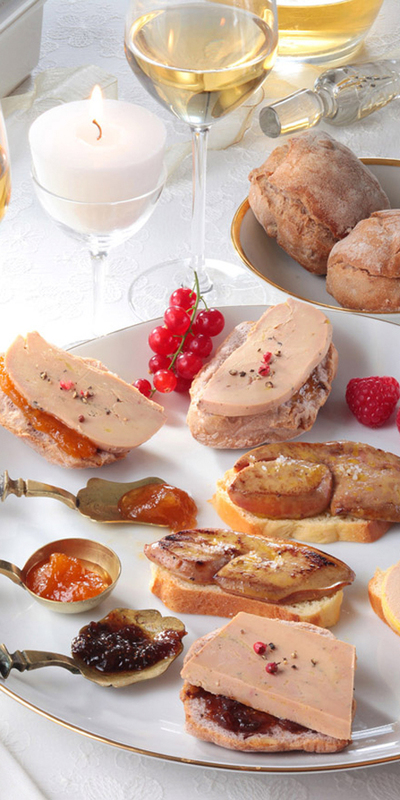 Since then , Foie Gras has become an integral part of the culinary and cultural heritage of France.